The connection between workplace wellness and employee productivity is well documented. In an effort to both boost employee health and improve employee retention in a tight job market, more and more companies are offering nutrition, fitness, and other wellness programs. The practice of yoga is relatively simple; it requires only a mat and some room to move around. This relatively low barrier to entry—not requiring any special equipment or a specially-designed room—makes yoga programs among the easiest to set up. For just the cost of some mats and a certified yoga instructor, HR departments can offer lunchtime, morning, or evening yoga classes for employees. Evidence indicates that employees flock to these programs and even demand more. A study from the National Business Group on Health estimates that around 50 percent of corporate healthcare costs are related to “lifestyle issues.” The World Health Organization counts stress and depression as major factors in reducing corporate employee wellness, citing “long hours, multi-tasking, stiff competition, rigorous commute, irregular eating habits, sedentary desk jobs, and bad sitting postures as the prime offenders contributing to poor employee states of mind. 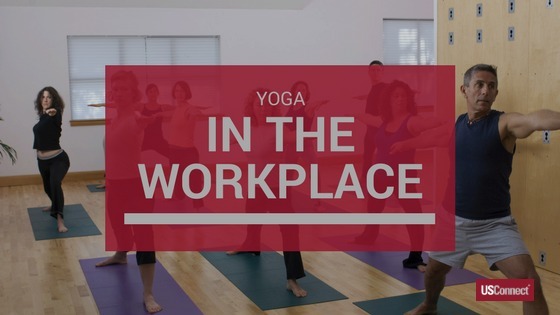 Once a company has established a yoga program for employee wellness, the employees themselves often take it upon themselves to pursue their own individual yoga practices. Again, since yoga is such a fundamentally simple exercise, it lends itself to self-guided, self-paced practice that employees can do for 10 or 20 minutes on their own. Survey employees to gauge interest level, determine what type of yoga to offer, and identify the most popular times for classes. Talk to several certified yoga instructors with experience creating and teaching workplace yoga programs. Schedule classes several months in advance so employees can plan their schedules. Educate employees the benefits of relaxation and stress management through yoga. Is It Time for a Little Spring Cleaning? Spring cleaning is a popular worldwide tradition. Why spring? While the roots of this tradition are unclear, some suggest that European winters are responsible. In the days before central HVAC systems, Europeans barred their homes against the cold by shutting windows tightly and lighting fires all winter long. By the end of such a winter, houses were stuffy, musty, and dirty from all the soot from the fires. Spring was a good time to open the windows, air out the house, and clean out the winter’s dirt. The way we live—and clean—has changed, but the tradition of spring cleaning remains. Many people take this time of year to take stock, declutter, and deep clean their homes and workplaces. Is now a good time for you to do the same? Here are some ways to do your own spring cleaning. Spring clean your diet: You don’t have to go whole hog with the Whole30 in order to eat more cleanly. “Eating clean” doesn’t mean eating without making a mess, or washing your food before you eat it; it means limiting processed foods and eating more whole foods, like whole grains, fruits, vegetables, and lean proteins. Spring clean your exercise routine: Try something different to spice up your physical fitness. Walk to work once a week, work out with a virtual trainer, or try a cardio dance class. The break in routine will help you burn more calories and maybe have some fun! Spring clean your workspace: How many Post-it® notes are stuck to your computer? How many unread emails are in your inbox? How many folders can you see on your desk, or tools left out in your workspace? If the answer is more than five, then set aside some time this spring to do a big clean of both your physical and your virtual workspaces to enjoy a nicer environment and increased productivity. 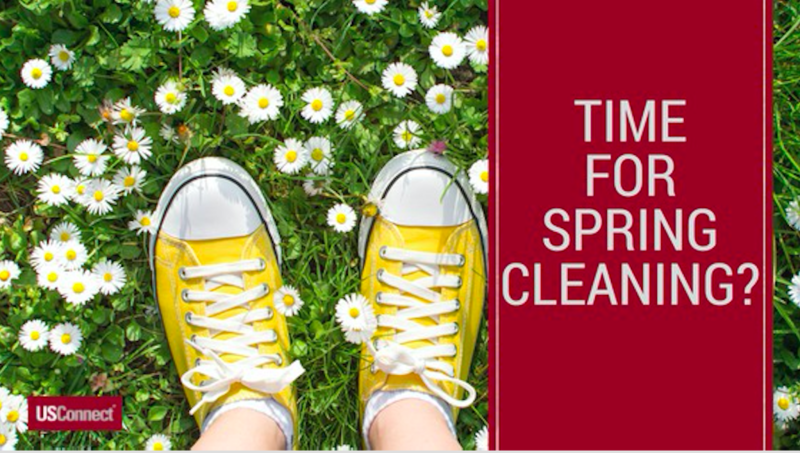 Actually spring clean your home: Even if you don’t have dust from sooty coal fires all over your home, spring is a great time to donate old clothes and furniture, take old taxes to a professional shredder, and clear the cobwebs from the corners. Read more here to do a really deep spring clean. National Walk to Work day was during the first week of April… when most of the Eastern Seaboard saw rain, snow, and record low temperatures. Since spring appears to be on a delay this year, let’s extend this celebration for the rest of the month—and enjoy the health benefits that walking brings. You may not be able to actually walk to work, whether because of distance, safety, or the amount you have to carry. However, for National Walk to Work Day, Week, or Month, you can walk at work. Aim for 30 minutes a day; that may seem like too long a break to take, but how about six breaks of five minutes each? This has the added benefit of improving your concentration and staving off the back pain that results from excessive sitting. Add an alarm to your smartphone or computer to remind you to walk, or set your fitness tracker to vibrate a reminder. If you have to hold a meeting with only one or two co-workers, why not have it while walking around the building a few times? Or build time into your lunch break to walk before and after eating; it will improve your digestion as well as your after-lunch productivity. To make sure you are set up to walk at work, leave a pair of good walking shoes at your desk, so you’re always ready to get some steps. 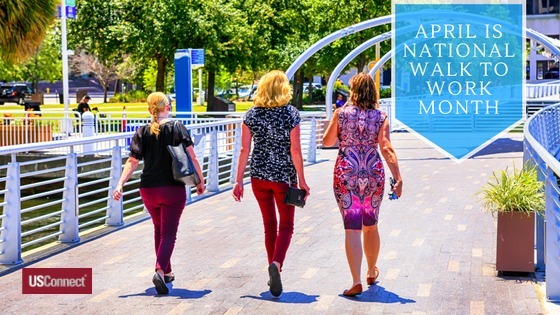 The goal of National Walk to Work Day is to encourage people to make walking a habit: not just for one day, but every day. Let this April be the month you start a lifetime of walking. But what are probiotics? The National Center for Complementary and Integrative Health at the National Institutes of Health (NIH) defines probiotics as “live microorganisms that are intended to have health benefits,” with the two most common strains being Lactobacillus and Bifidobacterium. Within each of these strains, many different types of bacteria can make up the specific probiotic product. Probiotics (the term means “for life”) occur naturally in many foods: specifically, those that have been fermented with bacteria. Yogurt contains probiotics, as does kombucha, kimchi, and sauerkraut. 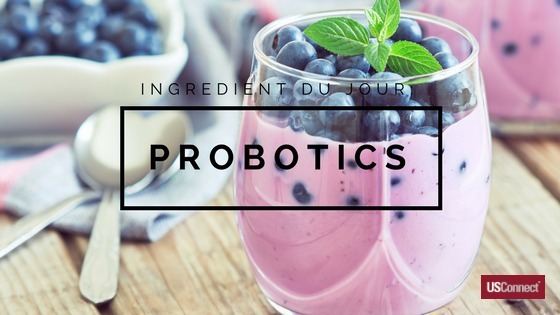 With its recent rise in popularity, probiotics are also now available as a supplement or as an additive to many foods. If you are in good health, probiotics will not hurt your gut, and they may even help, but the jury is still out on that.